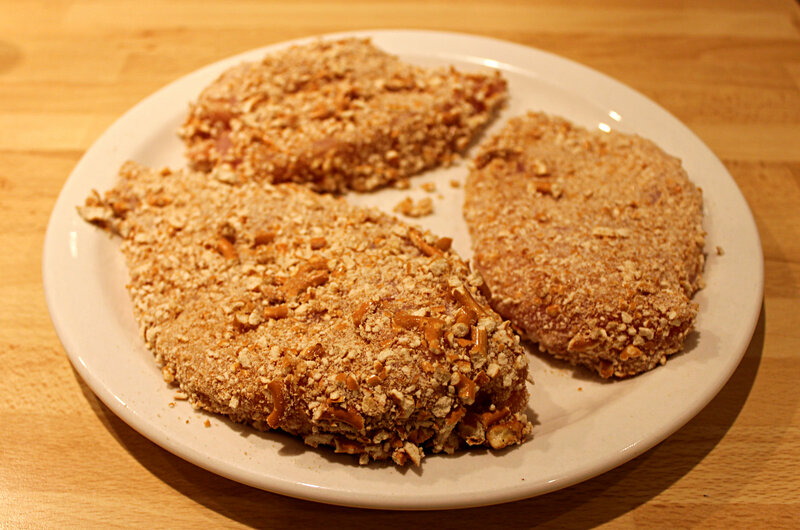 Chicken breaded in Pretzel crumbs recipe has been trending all over food blogs, so I decided to give it a try myself. Needless to say, I wasn’t disappointed! 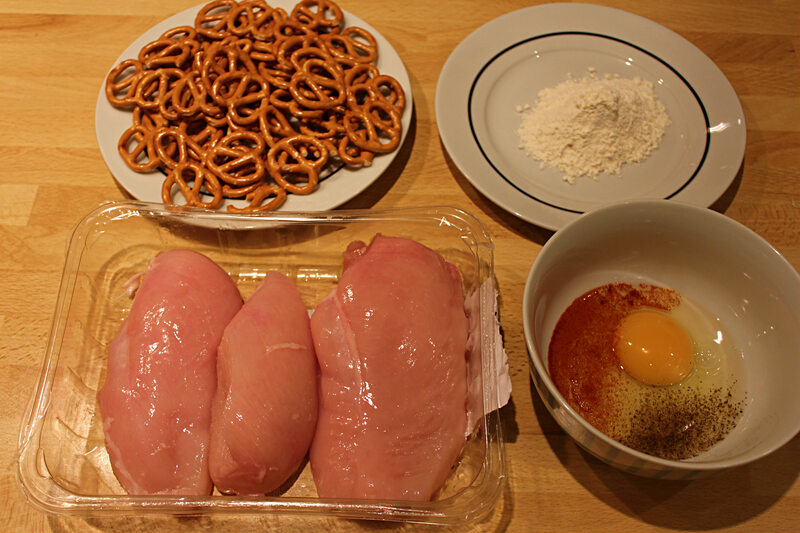 Sprinkle some salt over the chicken breasts and dip them in the flour, then egg and then the pretzel crumbs. 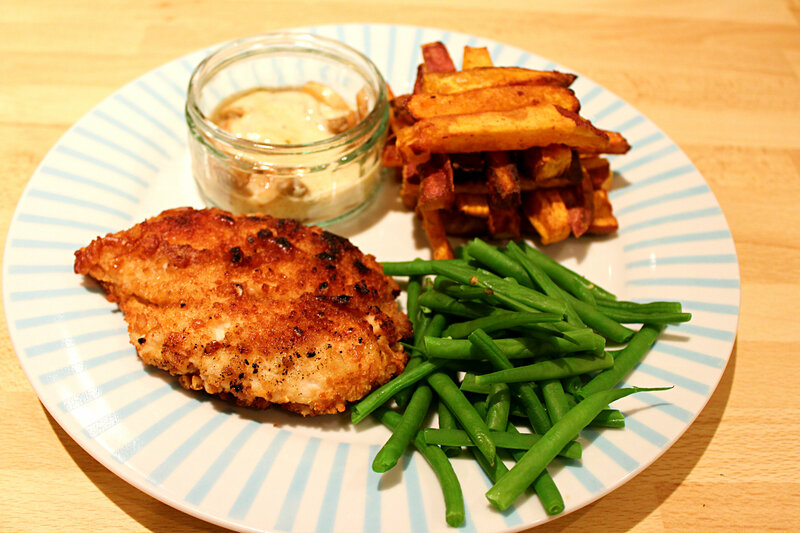 Fry on medium heat until golden brown and cooked through. Voila! 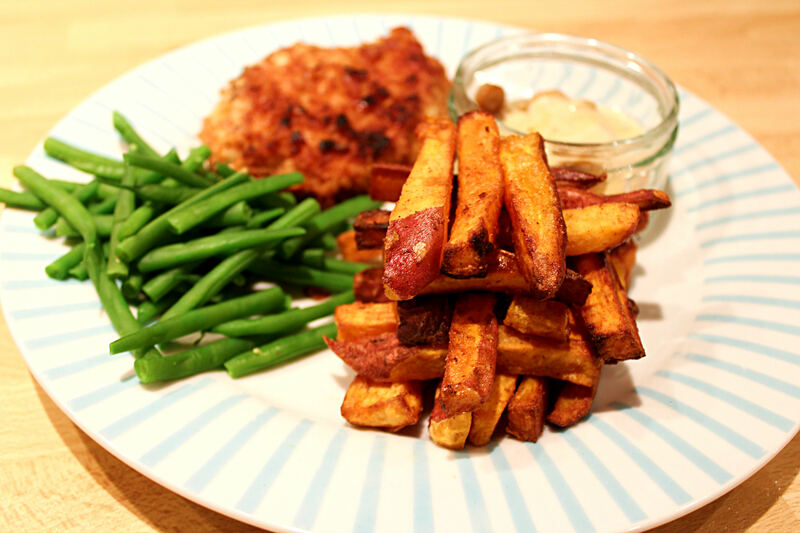 I served my pretz-calopes with home-made sweet potato fries, green beans and mushroom&cheese sauce. Enjoy!